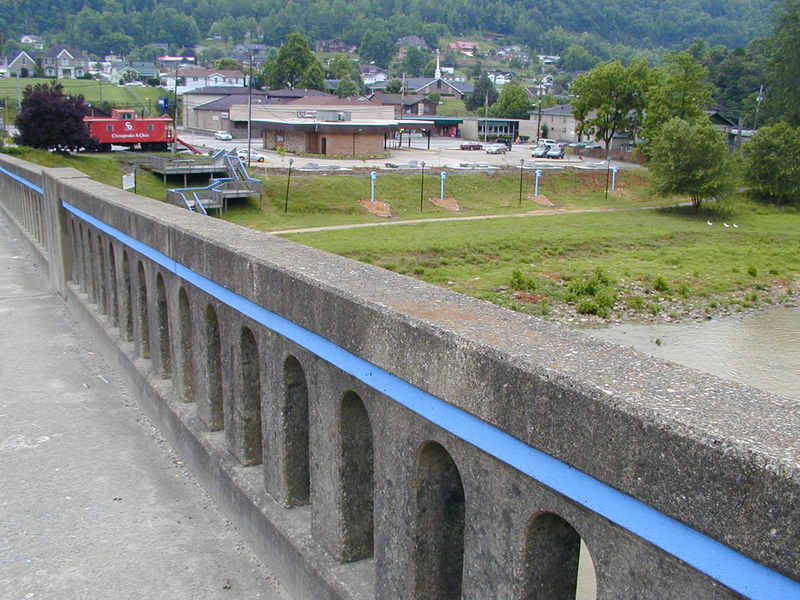 Elkhorn City, a town of 1000 people in the mountains of eastern Kentucky, was the site for a project on local community dreams for a sustainable future in the midst of coal and natural gas devastation. 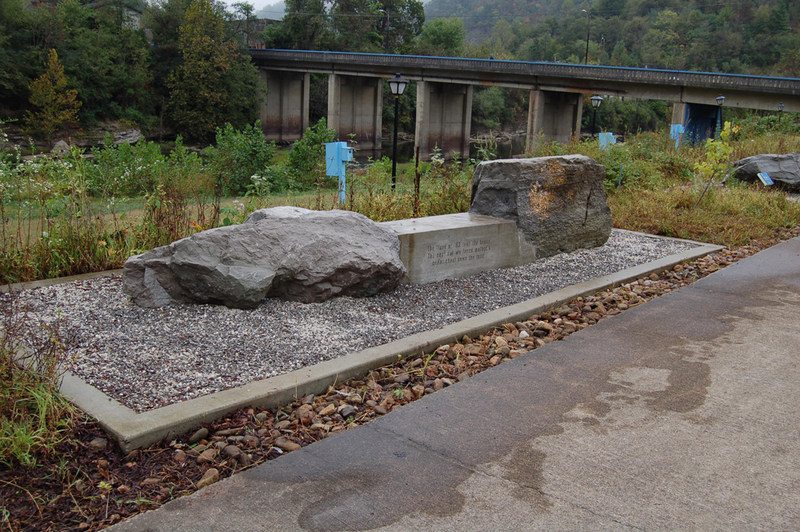 The Russell Fork River winds through the center of town and residents’ cleanup campaigns formed the basis for this project, proclaiming hopes. In the center of the town fragmented by the river, the highway, and local politics, Main Street was made up of new and abandoned buildings, miscellaneous businesses, and coal trucks. Along with artists Yutaka Kobayashi and Susan Leibovitz Steinman, Lacy worked with the Elkhorn City Heritage Council and Appalshop on multiple trips over five years, bringing diverse students, scholars, artists and other resources together to re-envision a new town identity and potential eco-tourist economy. The project included a native plant park with sculptural benches, a walking trail to unite disparate aspects of the town into a whole, a centerpiece mural designed by Steinman, a website, and publication of a new town tourism brochure. It was subsequently installed as documentation in Groundworks, an exhibition curated by Grant Kester for the Carnegie Mellon University. Produced with Appalshop, the Elkhorn City Heritage Council, the Kentucky Foundation for Women, and Creative Capital.